By Braydon Black · Oct. 11, 2018, 1:09 p.m.
By Braydon Black · Oct. 7, 2018, 3:31 p.m. The plan was created in response to a need for sustainable development in the rapidly growing campus, as the university hopes to make its new developments more environmentally conscious and better-suited to changing weather patterns. By Braydon Black · Oct. 7, 2018, 2:51 p.m. 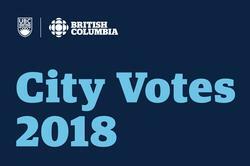 In anticipation of the upcoming municipal elections on October 20, UBC is partnering with CBC British Columbia to co-host a series of mayoral debates. By Braydon Black · Sept. 29, 2018, 4:50 p.m. In a joint ceremony on October 19, both universities will formally award their respective honorary doctorate of laws degrees — which recognize outstanding achievement or significant contribution to the public good — to the Aga Khan. By Braydon Black · Sept. 22, 2018, 10:12 a.m.
“If I was able to do this, pretty sure any malicious attacker could have as well with much more disastrous results,” he wrote in his blog. By Braydon Black · Sept. 15, 2018, 3:06 p.m. Starting September 17, Ono will be co-hosting the Blue & Goldcast — a monthly podcast — with Dr. Jennifer Gardy, an assistant professor in the School of Population and Public Health who has extensive experience in science communications. By Braydon Black · Aug. 30, 2018, 11:04 a.m. 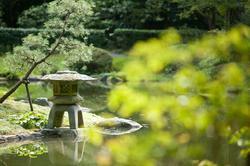 Living in Vancouver makes nature very accessible. So, whether you’re returning to campus after a nice long summer break or are new to the scene, it’s important that you set aside some time in the upcoming year to get to know the nature around you.